made of carefully chosen and richly patinated timber, the hinged lid opening to reveal a storage tray, and with a drawer below, the brass mounts well integrated into the design. 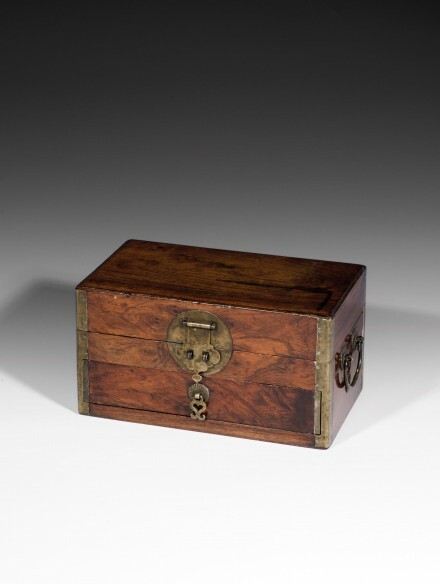 This unusual box incorporating a drawer is a rare and innovative variant of the standard form. 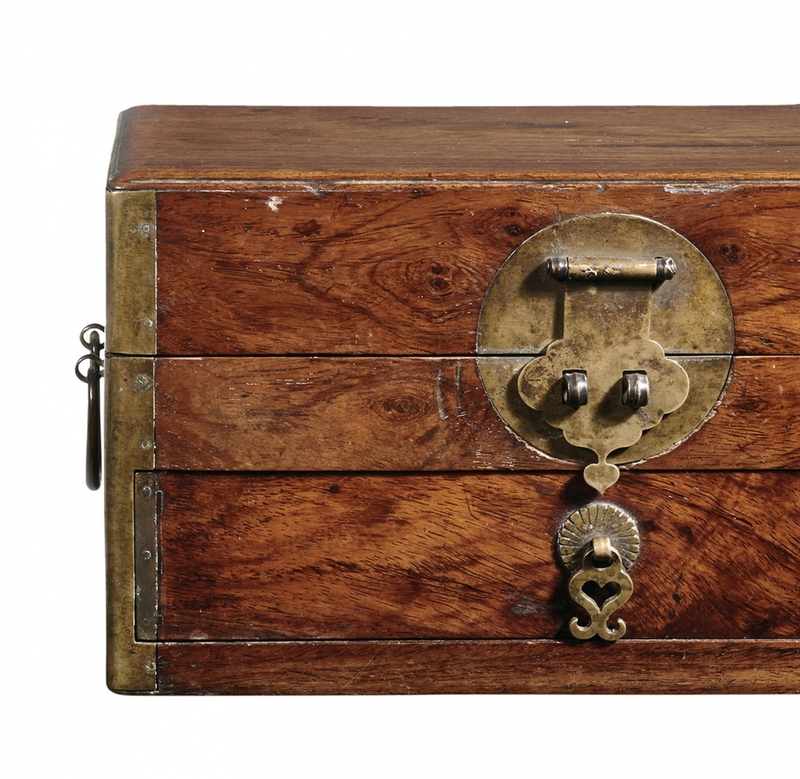 Particularly ingenious is the extended lock hasp with protruding tab which stops the drawer below from opening when the hasp is closed and locked.